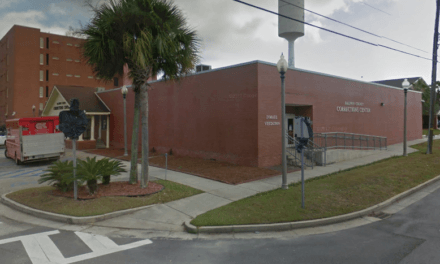 On Monday, a local judge ordered the city of Mobile to release police body camera footage captured during a 2016 incident where several teenagers were pepper-sprayed by a local officer. The Aug. 13 order, handed down by Mobile County Circuit Judge Rick Stout, was the result of a lawsuit filed last summer by the Meredith Corp., the parent company of WALA FOX 10 news. Along with several other media outlets, FOX 10 had been seeking the body camera footage captured during an incident that occurred in September 2016, when students from McGill-Toolen Catholic High School were pepper-sprayed by an MPD officer while painting the midtown cannon after a football game. After McGill’s annual game against neighborhood rival Murphy High School, it’s a tradition for the winning school to paint the cannon with its respective colors. However, that year the incident resulted in the police being called and several students being pepper-sprayed — upsetting parents, students and alumni. 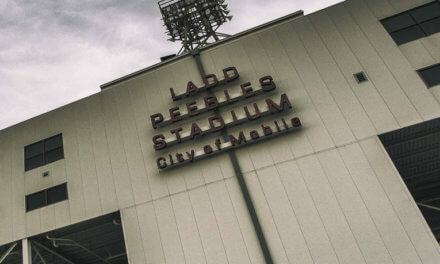 While few details were given about what led up to the incident, Public Safety Director James Barber, who was Mobile’s police chief at the time, said the officers were dealing with “an unusually large amount of rowdy kids” but ultimately apologized for the incident. Barber said students weren’t given enough time to comply with the responding officers’ orders before they used pepper spray. City spokeswoman Laura Byrne said Tuesday that the officer in that case “failed to follow procedure when using pepper spray” and had been disciplined for his actions. She also said MPD has since worked with McGill-Toolen to prevent similar incidents in the future. Despite requests from several local media outlets, footage from the body cameras police wore that night was never released, with MPD citing an “ongoing investigation” into the incident. In 2017, FOX 10 took the issue to court. “WALA FOX 10 knows that the transparency of this case was very important, we knew that the truth had to be told, and our job is to hold the powerful accountable,” FOX 10 TV News Director Scott Flannigan wrote in a statement to Lagniappe. Flannigan did not elaborate on how FOX 10 plans to use the footage, but according to Stout’s order, the city of Mobile has 14 days to turn it over to the news station. Stout also required the faces of any individuals in the footage be “blurred” prior to the videos’ release and ordered FOX 10 to reimburse the city for those efforts. Stout emphasized that his ruling would not require all MPD body camera footage to be made public. The order also says MPD wouldn’t have been required to turn over the video from the 2016 McGill cannon incident if it hadn’t been preserved as evidence as part of FOX 10’s lawsuit. It also seems to suggest police don’t have to preserve body camera footage or release it to the public based on the state laws that exist today. Byrne told Lagniappe Tuesday the city plans to comply with the judge’s order and release the video to FOX 10, though she said it would likely take a week or two to blur the faces in the footage. While Stout’s ruling won’t have any wide-reaching effects, Mobile is still awaiting an opinion from Alabama’s attorney general. Last summer, the Mobile City Council approved Mayor Sandy Stimpson to seek the attorney general’s opinion on whether the city is required to release police body camera footage or disclose changes made to its body camera policy — something the city released to the public for the first time hours after FOX 10’s lawsuit was filed. 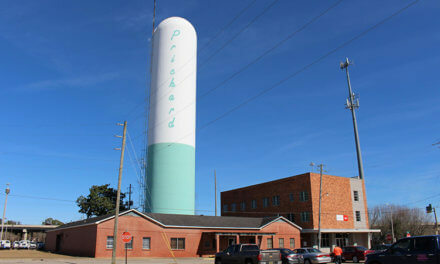 The city has also acknowledged that several changes have been made to the policy since it was drafted in 2016. Attorney General Steve Marshall’s office hasn’t indicated when it might respond to Mobile’s request for an opinion on body cameras and the policies governing them, but the city has suggested it only sought that opinion as a result of FOX 10’s lawsuit over the McGill footage.